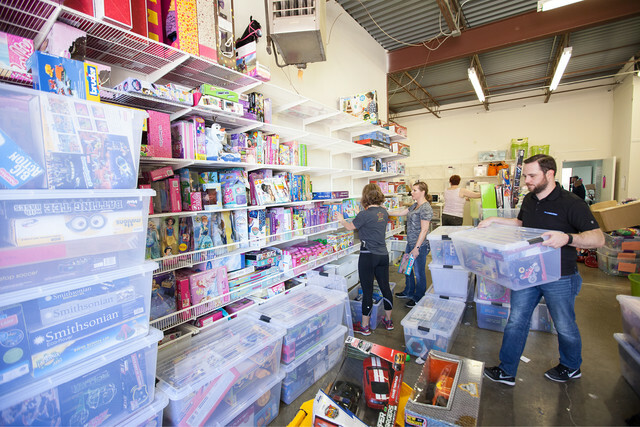 The Dallas-based organization is simply amazing. 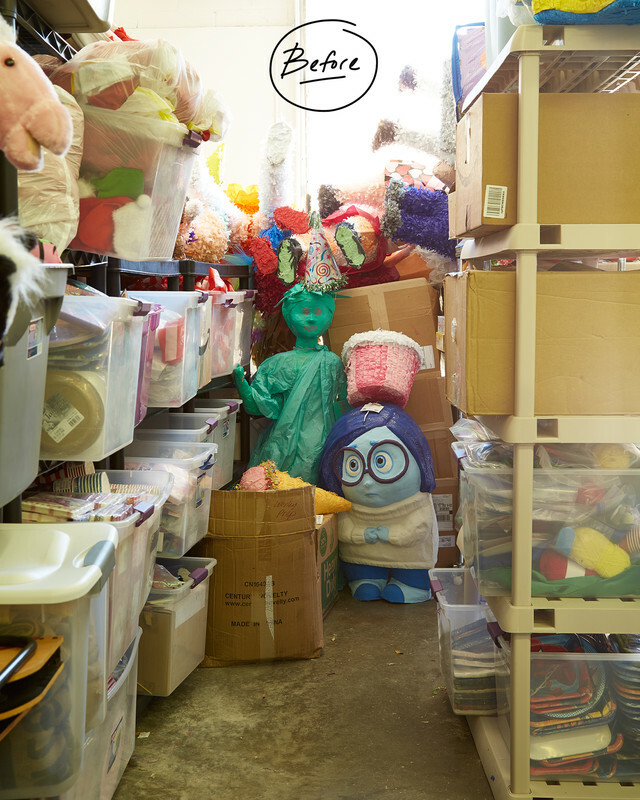 Their mission is to bring joy to homeless children through the magic of birthdays. 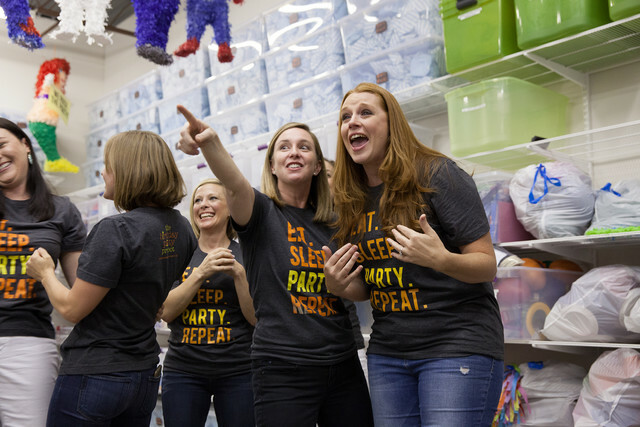 Through the support of volunteers or "birthday enthusiasts" as they call them, the group partners with homeless shelters to throw monthly birthday parties for children. Each party is packed with games, decorations, pizza, cake, gifts and favors. 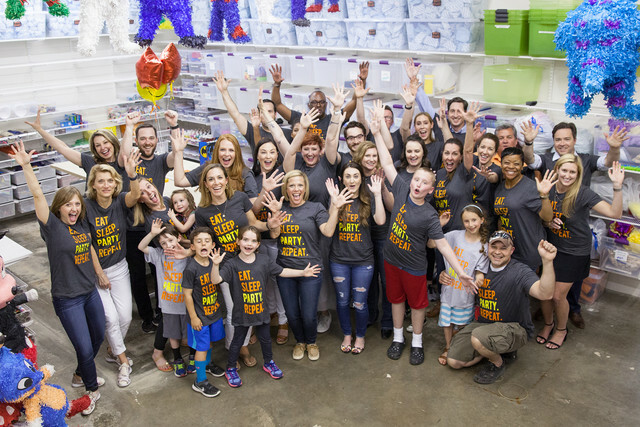 The magic of The Birthday Party Project started in Paige's home and has now grown into a thriving non-profit, serving nine cities across the country with more coming soon. 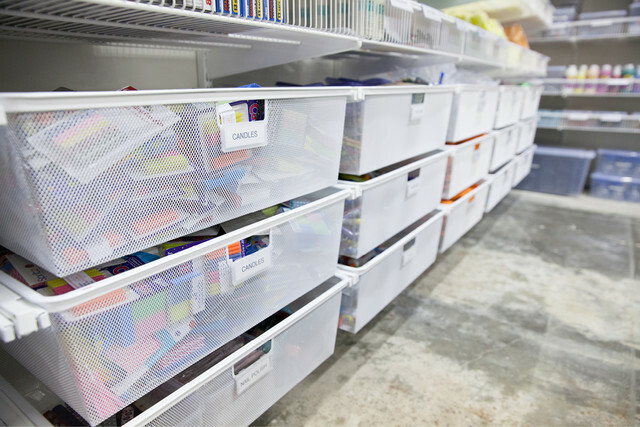 They celebrate more than 1,000 kiddos every month, and with that awesome growth came a packed headquarters space that needed a little organization. And we were happy to help! 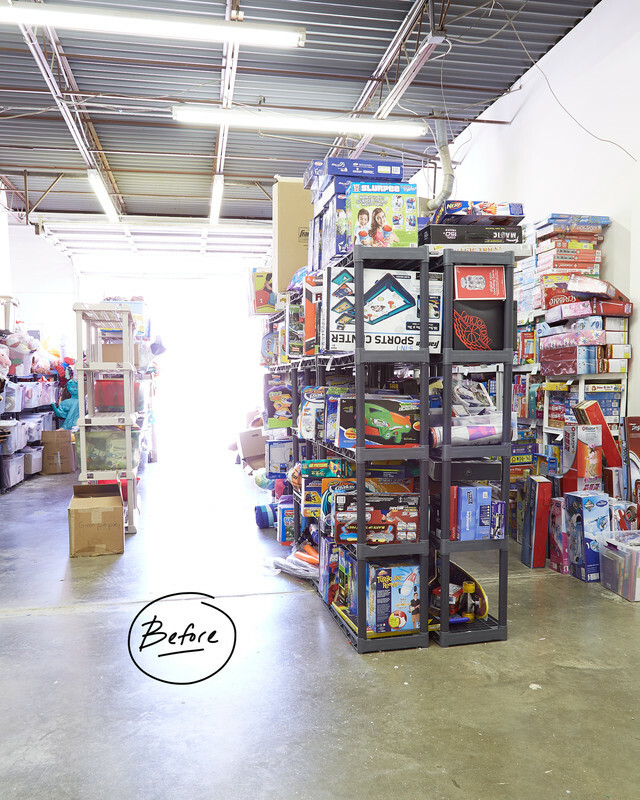 The space was filled with donations of toys and games and all of the birthday items Paige and her small, but mighty, staff need to make their parties come to life. 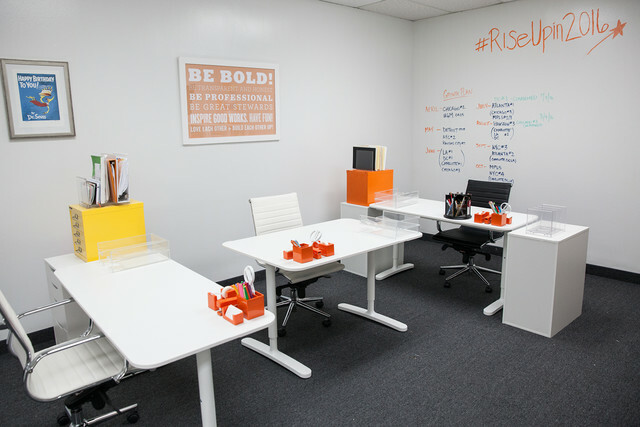 And while the group is incredibly organized in their efforts, there was definitely some room for improvement to help maximize the space and to help the team's system become even more efficient. 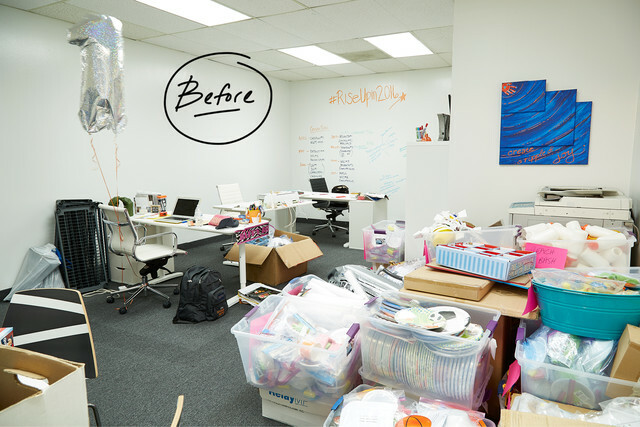 Check out these "before" photos! 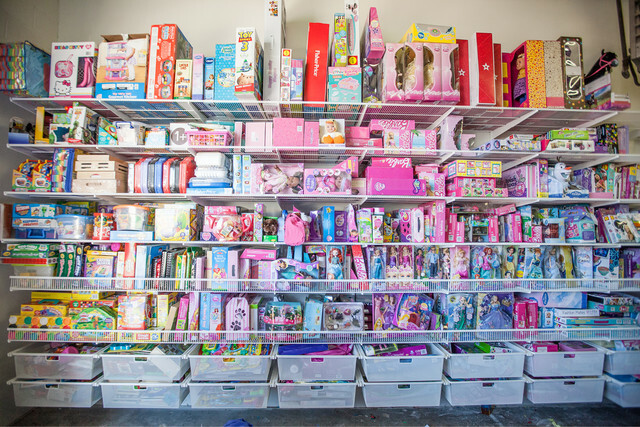 Before, toy and party favorites were clustered together with no sense of order. 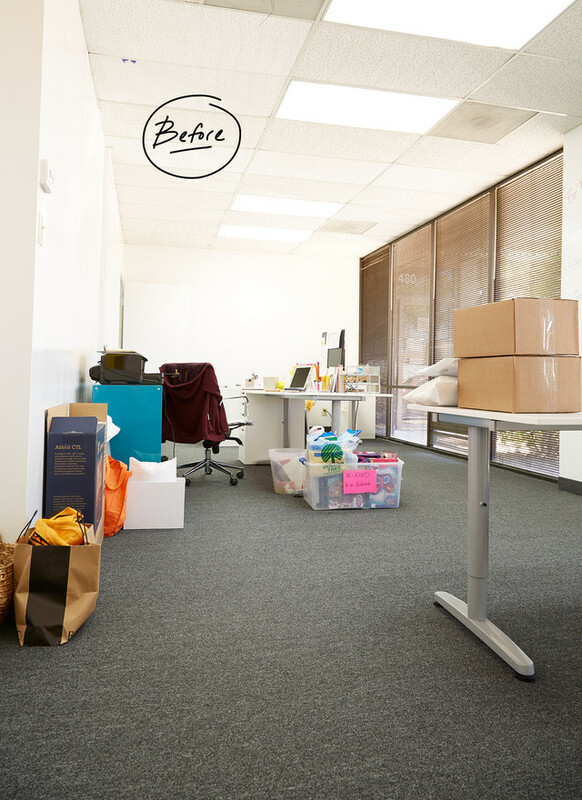 The team's small office space was tidy before but we also wanted to take the opportunity to give it a little more organization, too! 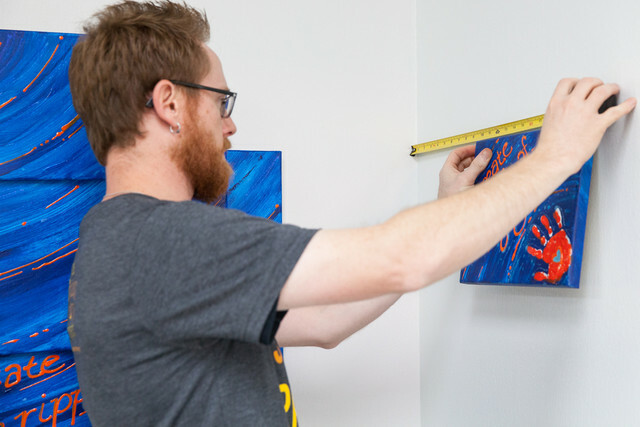 The Birthday Project's offices were bare and in need of some colorful organization. 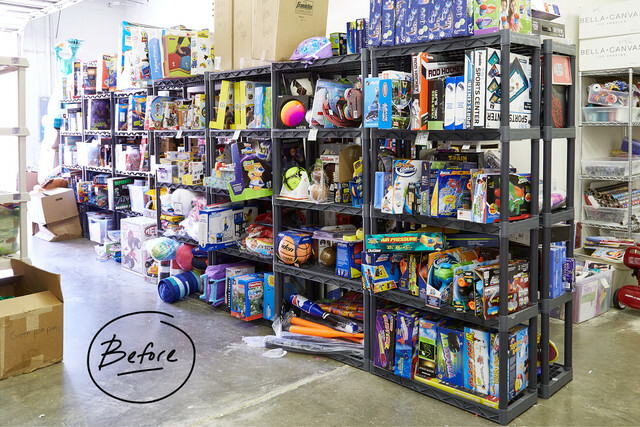 Our Container Stories team loved the opportunity to roll up our sleeves and give the gift of organization to this incredible group that we were so inspired by - and many of our vendors were happy to donate product, too! 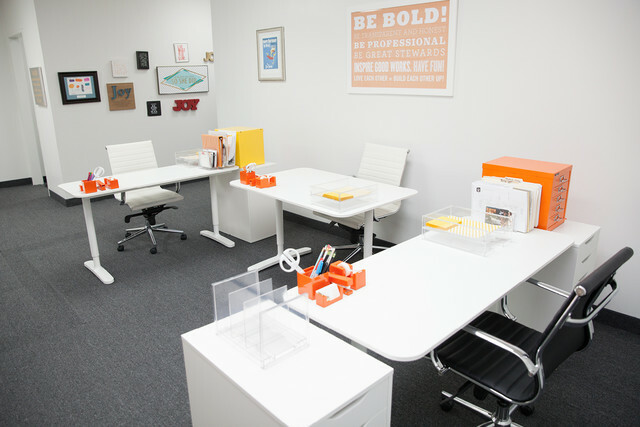 The Birthday Party Project's core values are very much in line with the way we like to work (and play)! 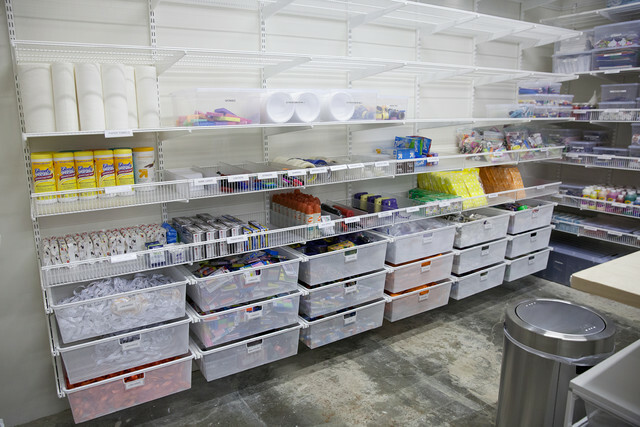 Our elfa Installation team was amazing and outfitted the entire space with elfa shelving and drawers that maximized every inch of space - a design that is much more efficient than before. 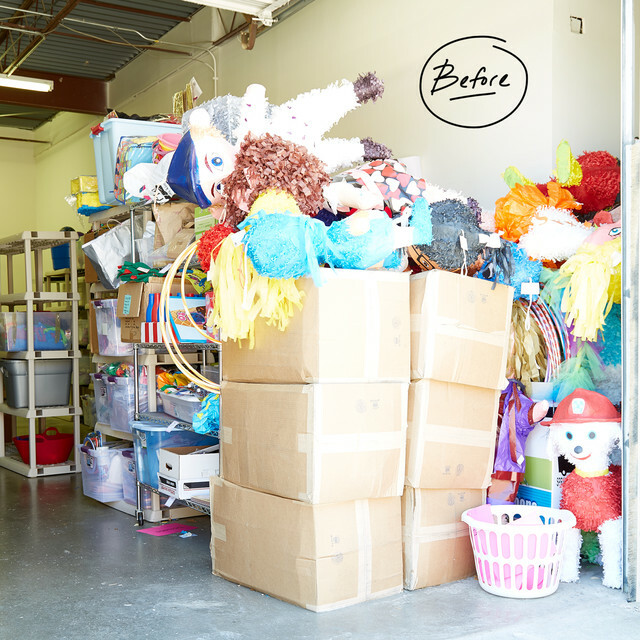 And after some sorting, compartmentalizing and filing, we ensured that every item was organized in an intuitive system that will make the group's birthday party prep even more productive! 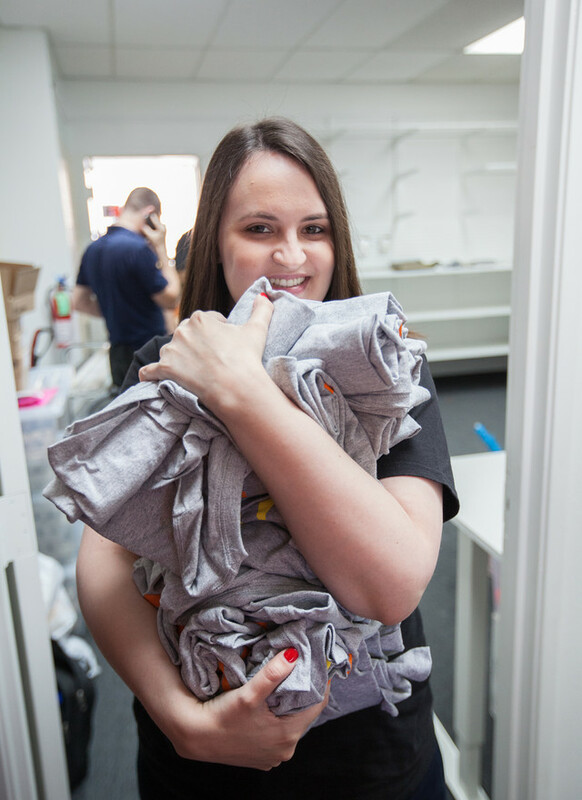 Bryn, our Creative Coordinator, helps create complete t-shirt order. 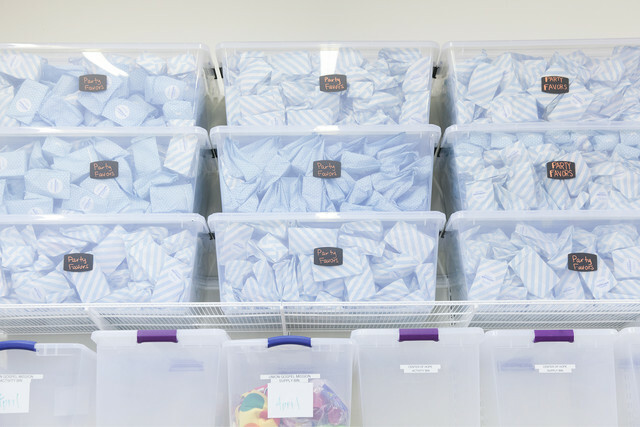 Our PR Assistant, Melanie, helps gather hundreds of shirts to organize by size and color! 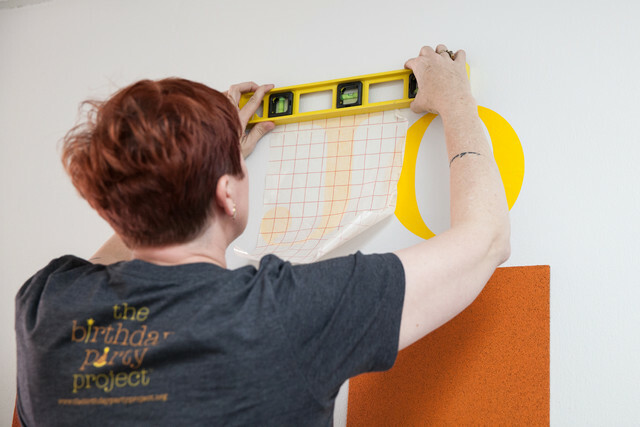 Our fabulous employee, Amy L., helps customize each of our Bulletin Boards. 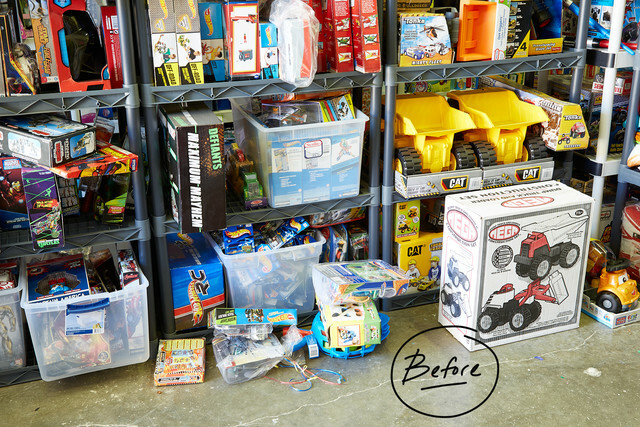 Take a look at that awesome transformation! 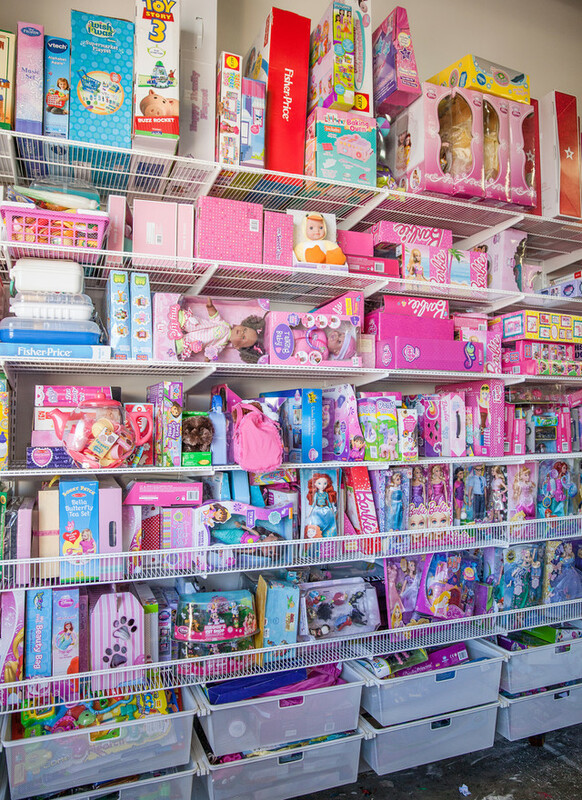 Each birthday boy or girl gets a wrapped gift during their party. 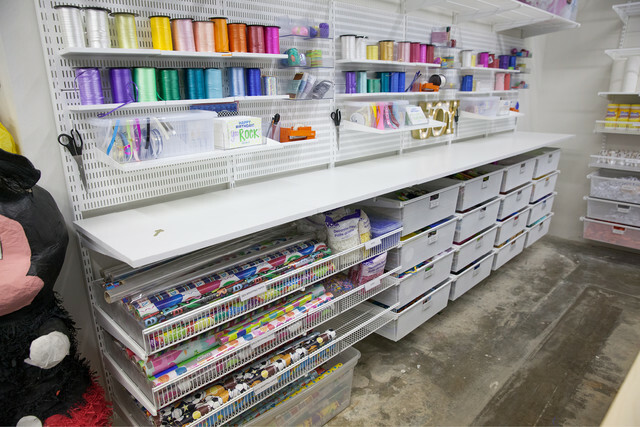 This gift wrapping area is just gorgeous and makes putting together the perfect package even more delightful! 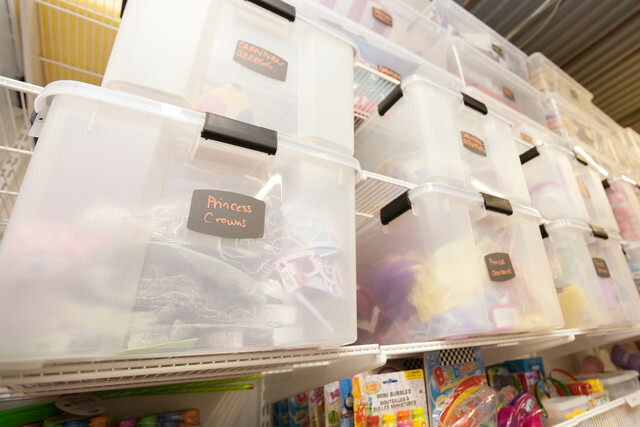 Toys and games are now expertly stored on sturdy elfa shelving and in elfa drawers so the Birthday Party Project team can see everything and get to it easily! 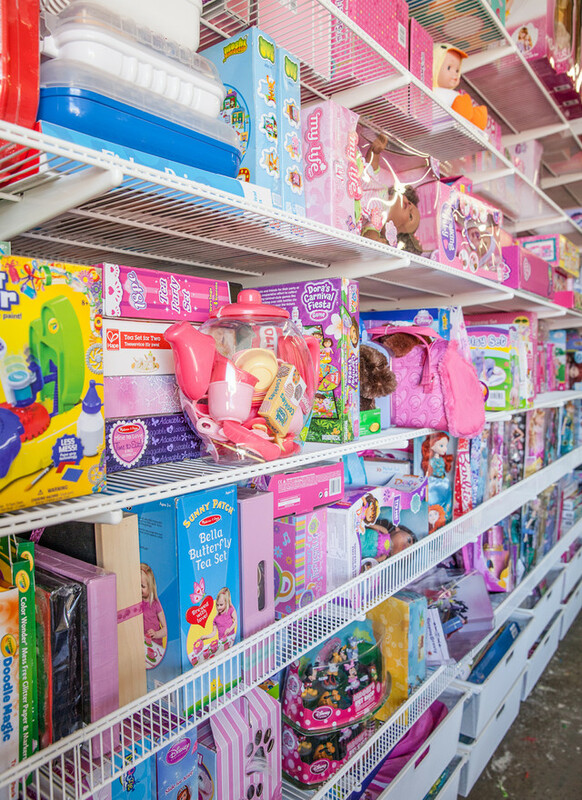 Colorful, coordinated and easily accessible - the Birthday Project's new gift wall is a little kid's dream! 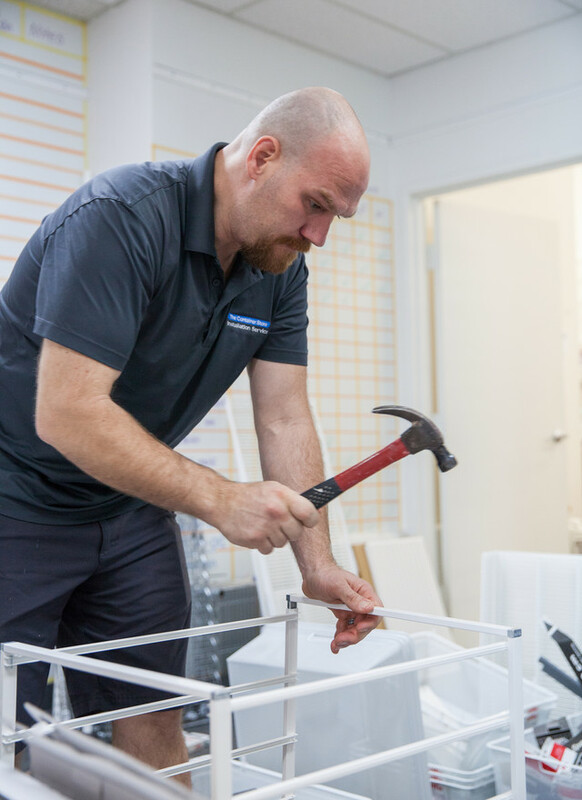 Our vendor friends at IRIS donated about 200 of these Clear Weathertight Totes and Clear Totes with Locking Lids. 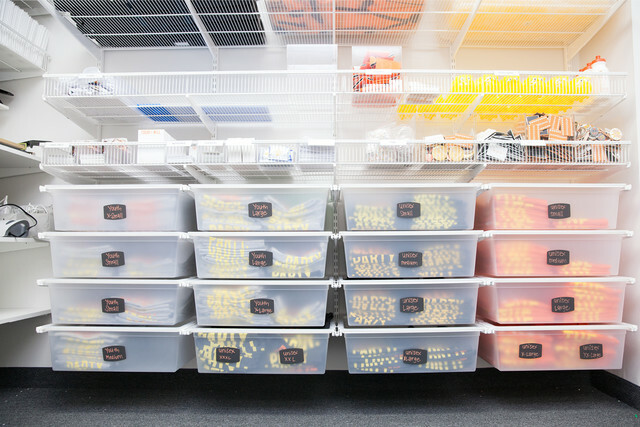 Everything is now visible and labeled to perfection! 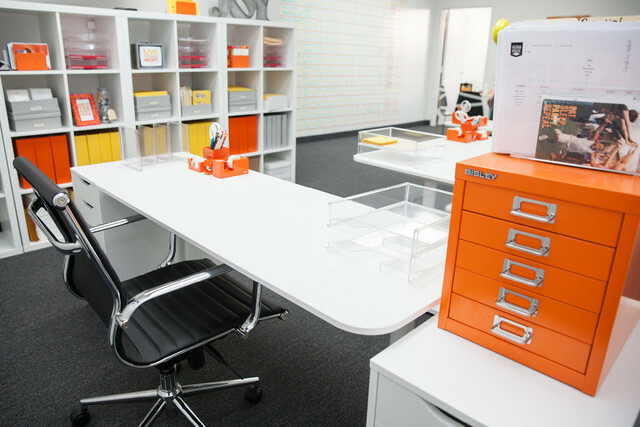 Each elfa solid drawer is labeled by size, making it a breeze for the team to find just the ones they need! 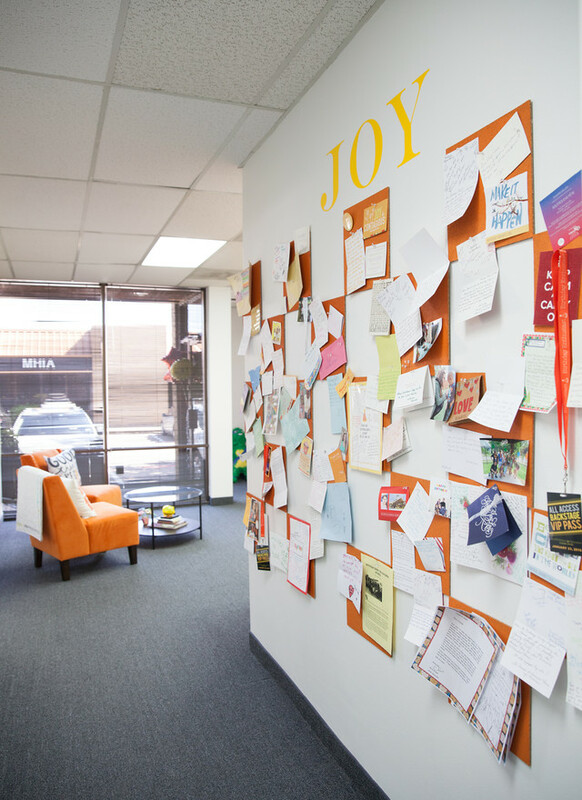 Happy notes and thank-you's find a new home with strategically placed bulletin boards expanding the length of the wall. 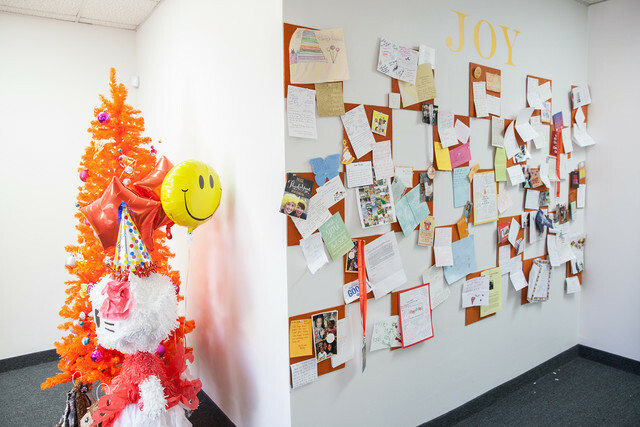 Our cork boards, fashioned into a fun message center, display love notes from kids, parents and volunteers who have been touched by The Birthday Party Project's great work. 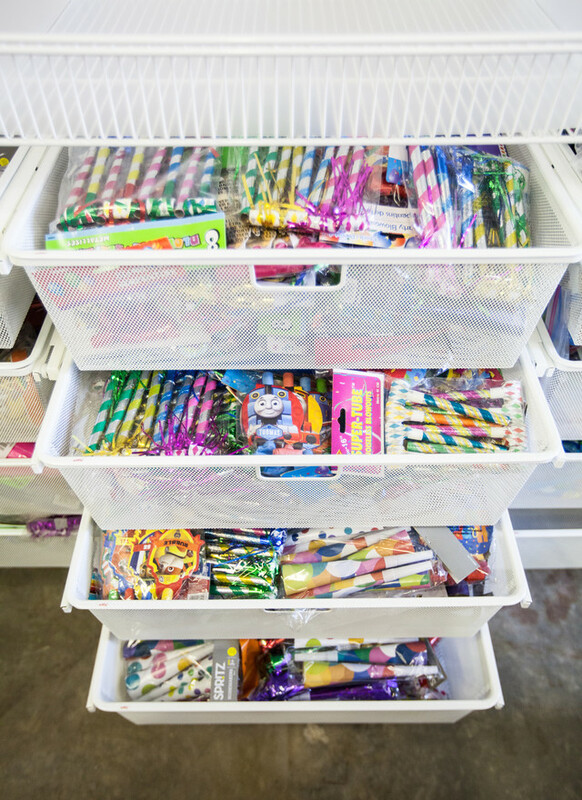 Poppin - another fabulous vendor - donated some of their famously colorful office products that so perfectly represent the bright spirit of The Birthday Party Project. 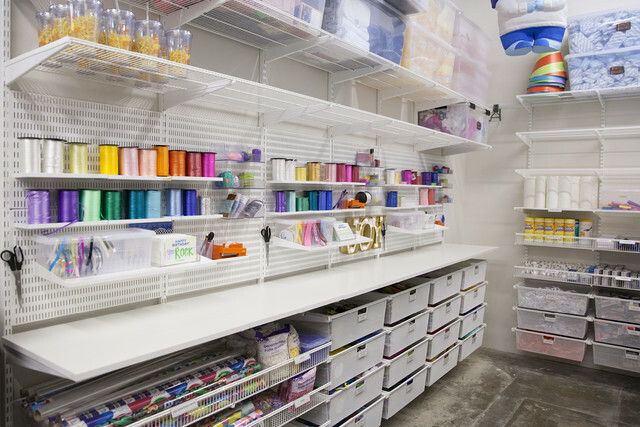 Every space, organized with our smart and colorful solutions. 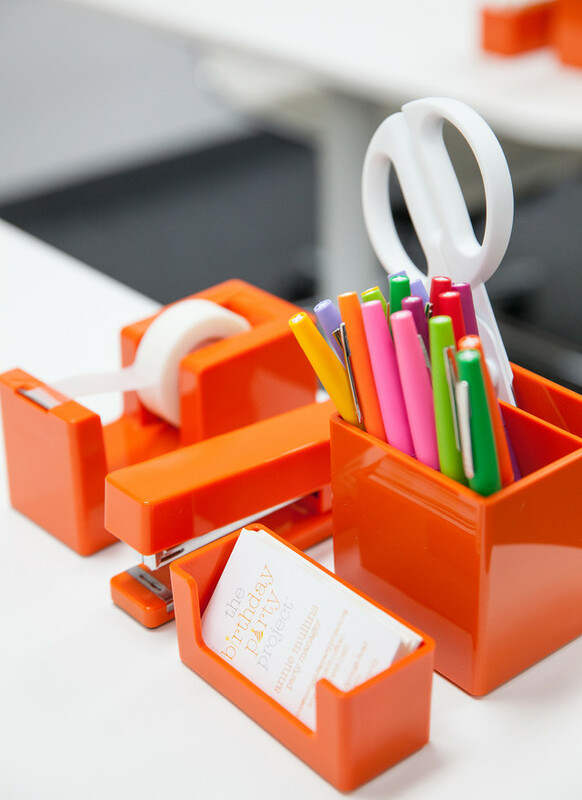 Pops of color from Poppin personalize each desk while keeping it coordinated! 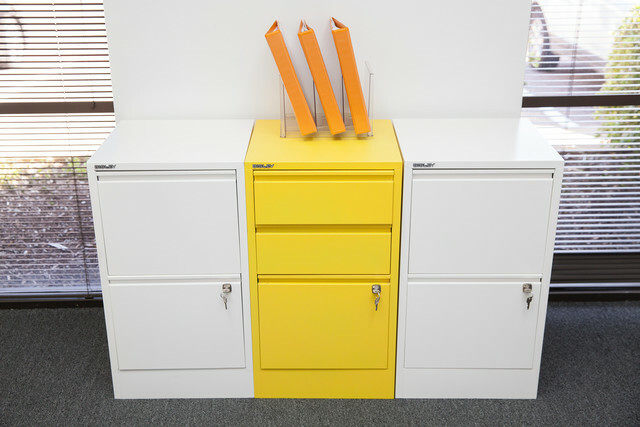 And our vendors Bisley and Bigso also donated file cabinets and boxes that added the perfect mix of form, function and pops of color to the office. 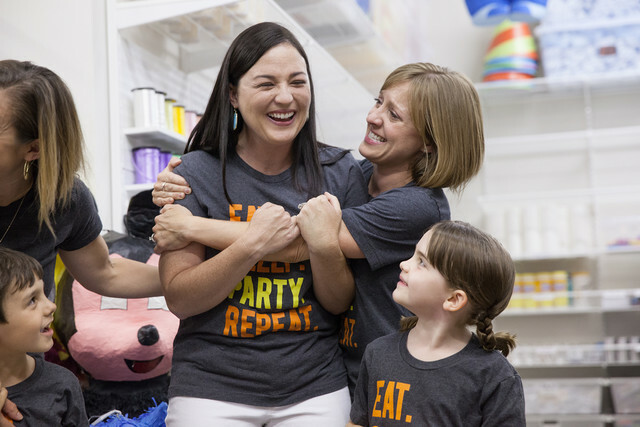 When it came time to reveal the newly organized space to Paige and her fantastic team, there wasn't a dry eye in the house! We celebrated in perfect birthday party fashion with cake, treats and fabulous beverages! 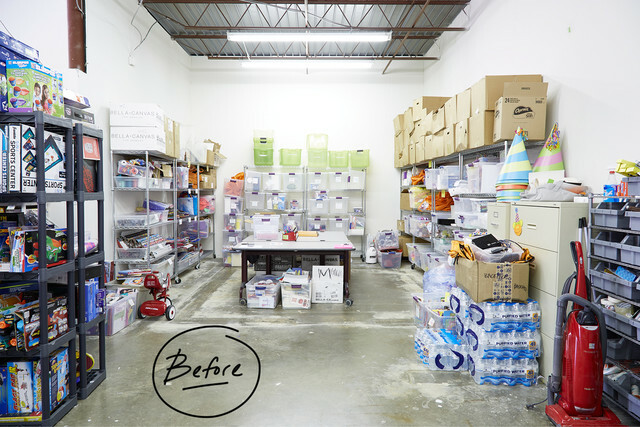 The Birthday Party Project Team and The Container Store Team celebrates this beautiful transformation! 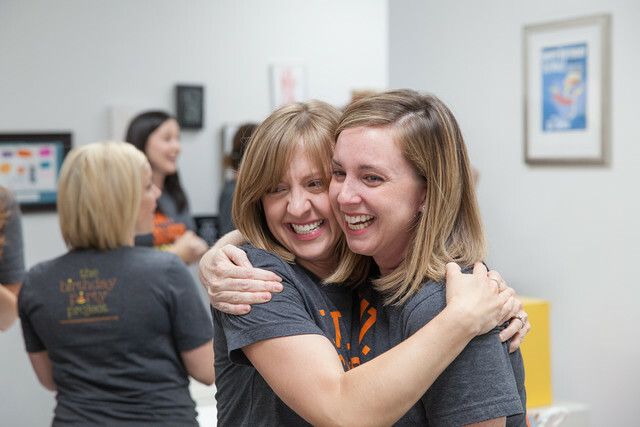 We were all so very moved and inspired by this incredible makeover experience and by getting to know the lovely folks behind The Birthday Party Project. 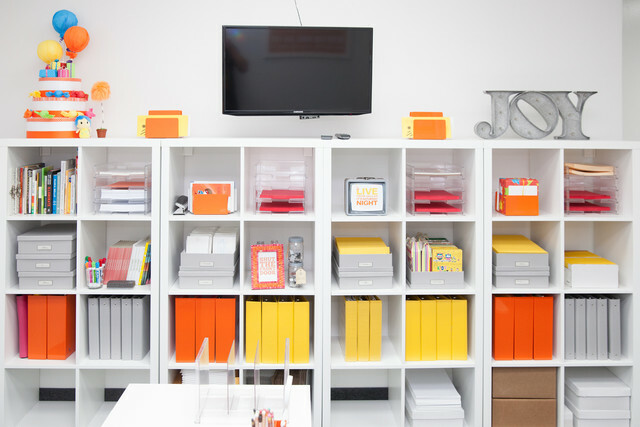 Take a look at this fun video and hear what Paige had to say about their newly organized space. 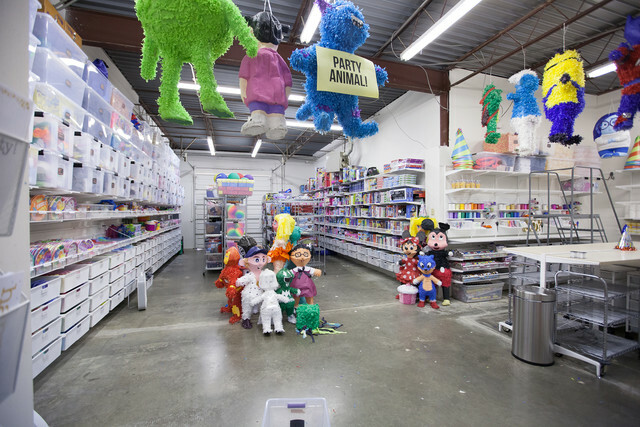 For more information about The Birthday Party project visit their web site www.thebirthdaypartyproject.org.